Free for spectators, $10 for scouts. The U.S. Grant Pilgrimage is a weekend full of activities for the general public and scout groups, celebrating Ulysses S. Grant’s birthday. Enjoy Civil War reenactments & encampment, the Galena Fire Department’s bucket brigade and watch as Midwest scouting groups parade down Galena’s Historic Main Street. 8:00 – 5:00 p.m.: Reenactors will be located all-day in Grant’s Park, located along the Galena River across from downtown Galena. 9:00 – 11:30 a.m.: The Galena Fire Department holds its bucket brigade. 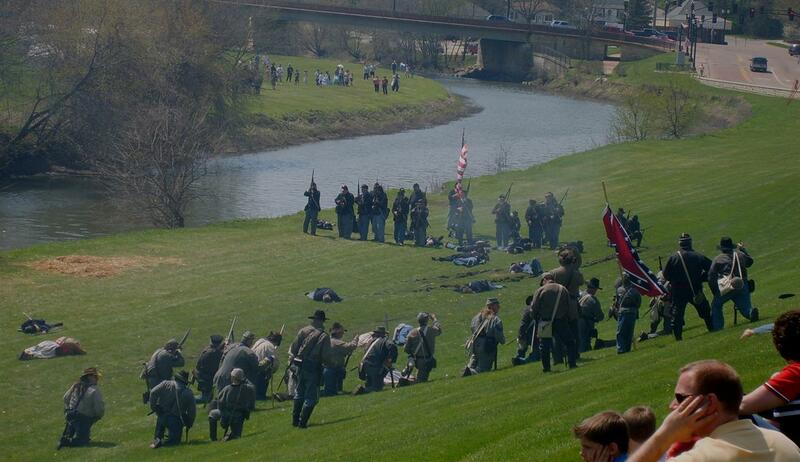 11:30 a.m.: Watch as reenactors recreate a Civil War skirmish in front of the Galena Train Depot. 1:30 p.m.: Watch as reenactors recreate a Civil War skirmish in front of the Galena Train Depot.